Pacifiers are very helpful for parents of infants and newborns and are soothing for babies too. However, as a child grows older into a toddler, there comes the time to take away their pacifier for good. There are some toddlers that won’t miss the pacifier at all and others that become very attached to pacifiers and do not want to stop having them. 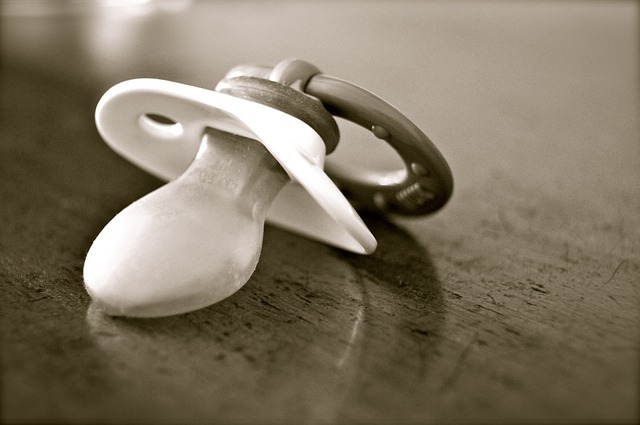 There are some daycares in Kenosha that do not allow children ages 2 and older to have a pacifier with them at their daycare and others are more lenient. However, when it comes time for preschool, your child should no longer be using a pacifier. This is one sign of whether your child is ready for preschool or not. You can first try to take away a pacifier without warning. This is a “cold turkey” approach. This approach is the most aggressive option, but it can be very successful and very easy depending on the toddler and his or her attachment to the pacifier. Even if this method isn’t successful immediately, there is a chance within a few days or a week that your toddler will no longer miss their pacifier. If you are not comfortable with the “cold turkey” approach or are not having success with it, you can instead only allow your toddler to have their pacifier at select times of the day. This means perhaps he or she could have the pacifier during naps and bedtime or just in the morning or evening. Then start to slowly stop allowing your toddler the pacifier during those times as well. A new popular method for taking away a pacifier from a toddler is to forewarn them three days in advance. Tell them that they will be allowed to have the pacifier for three more days. Then each day tell them just two more days and then one more day. The forewarning can be appreciated and prepares your toddler for the upcoming change. Another common idea is to put a substance on the pacifier in order to make it taste bad. You can purchase specific products for this or you can find something you already have at home assuming it is safe for children. This method will eventually lead to your toddler no longer wanting the pacifier. A similar idea is to cut off the tips on the pacifiers to eliminate the suction and soothing comfort.